Damage to body of an individual as a result of a dog attack. If you sustain a personal injury as a result of an accident and there is reason to believe someone else may be responsible, it is important to document and maintain accurate records of the events and details pertaining to the accident. You may want to keep a diary or log regarding the events which transpire after the accident, including any injuries you sustained and any losses you suffered. If you are injured in an accident, you should seek immediate medical attention. 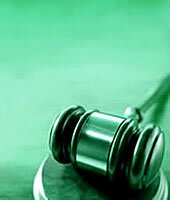 Further, it is important to obtain the name and address of any witness to the accident. It may be appropriate to take photographs of the accident scene and your injuries. Lastly, it is important to report any losses promptly to your insurance company and file any required government reports. As a direct and proximate result of the Defendant's breach of that duty, the Plaintiff suffered injury. Damages recoverable include pain and suffering, medical expenses, loss of earnings or earning capacity.